Found this list on my way to school. 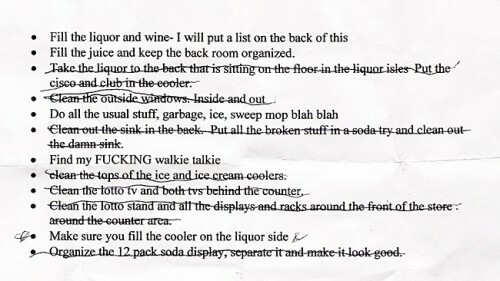 It seems to be the to-do list of a convenience/liquor store employee. I wonder if he ever found his walkie-talkie.